A wonderful timber lodge resting on the Bossiney Bay Holiday Park, less than a mile from Tintagel. Offering spacious accommodation, this retreat is equally ideal for a small family wanting to get away from it all and for a romantic break for two. Whoever you choose to bring along, make the most of the countryside views and coastal location that promises a warm and welcoming stay all-year-round. You will feel right at home after entering the cottage, with an open-plan living area setting the scene for a cosy night in with your loved ones. Two beautifully-furnished bedrooms and a bathroom complete the cottage. Spend most of your downtime relaxing on the decked area, which is home to a luxurious hot tub where you can simply unwind after a long day. There is a coastal path a short stroll away, which takes you to the cliffs above the pretty cove. Bossiney Beach is one to enjoy as the tide goes out, revealing a long stretch of golden sand, with a very easy descent along the cliff path. 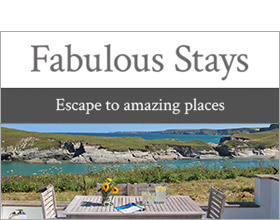 Tintagel is less than a mile away and offers a choice of pubs, restaurants and cafes. Further afield are the surfing meccas of Newquay and Bude, while the open spaces of Bodmin Moor, the Eden Project, Padstow and the Camel Estuary are all within a 40-minute drive. A memorable getaway not to be missed. If guests are making a last minute booking the hot tub will not be able to be used on day of arrival due to needing to get up to temperature.